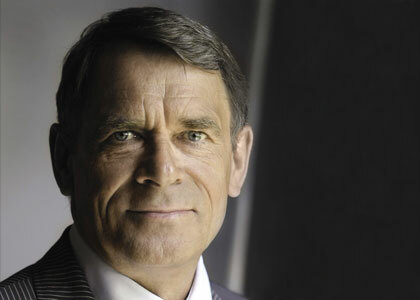 Anders Knutsen assumed the leadership of Bang and Olufsen, the Danish audiovisual company, at a time of severe crisis. He rescued a tradition of immaculate design and engineering, so “perfect” that fewer and fewer could afford it! It started with a bang. It nearly ended in a whimper, but, thanks to Knutsen, the Bang is now bigger than ever. Extract from 21 Leaders for the 21st Century Fons Trompenaars and Charles Hampden-Turner. Anders Knutsen graduated from University in Denmark with an MA in Economics in 1973 and began his career in personnel with Bang & Olufsen. Heading up the Personnel and Working Environment Department for three years, he then moved through the company in various positions, and in 1992 was appointed President and CEO, a position he held for 11 years until July 2001. He feels his main achievement has been to help turn the company into a thriving business ‘without destroying the heart and soul’. Bang & Olufsen has recently been going through a radical period of change, starting with losing approximately 1200 dealers world-wide who didn’t comply with its standards. At the same time it is building a world class distribution to be a strong live statement, integrating with its Internet strategies to expand the brand. The future for Bang & Olufsen is to move from a product-driven to a vision-driven company. This has also had a dramatic impact on the quality of customer service. This has been achieved by changing the communications strategy, not only the processes but also the content of the communication. This lead to the realisation that communication is just as important as products, and that customers share values across national borders and share a universal language. The company developed a division called StoryLab, where messages are developed conceptually in the same way as new products. Bang & Olufsen re-evaluated and revamped relationships with partners and stakeholders, dealers, franchisees, subsidiaries and sales companies. This all had the effect of turning Bang & Olufsen into a much more customer-focused organisation. Anders Knutsen also holds a number of Honorary Offices in Denmark, Chairman of Orange A/S, Chairman of L.M.Glasfiber A/S , Deputy Chairman of Danisco A/S and Frits Hansen A/S.